The new season is almost here! Chick rooms are setup and ready for our first hatch of pheasant chicks! 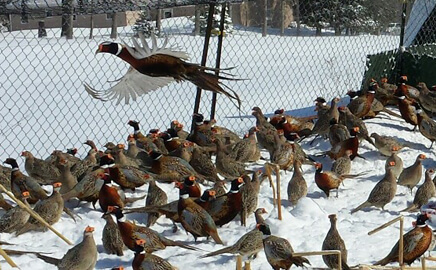 If your planning on ordering pheasants or chukar partridge this year please give Jason a call as soon as possible! Interested Ordering For This Season? As we prepare for the season ahead we just wanted to say thank you to everyone for making our past season one of our best yet! Thank you again! One of our goals here at Blue Ribbon Game Farm is to bring our customers only the best! From the quality of our product to our customer service we strive to be the benchmark for all your game bird needs! Located in Western New York within the heart of Genesee County. We work hard to produce only the highest quality game birds and superior customer service for you! Whether you’re hosting dog trials, conducting dog training, or own a preserve our mission is to provide you with premium game birds to make everyone’s experience fun, enjoyable, and a complete success! Our game birds are explosive & high flying with character traits and coloration that are sure to be a hit with your club, hunting preserve or field trial. 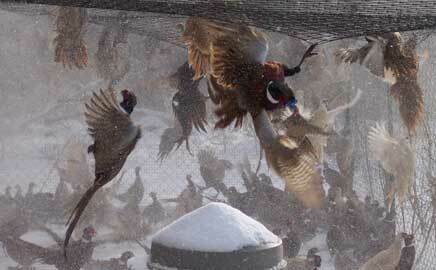 Depending on the season will have a limited amount of Blueback pheasants. Shooting preserves offer a unique hunting experience for young & old alike. Fortunately, There are many incredible location around New York state for the pursuit of upland bird. Try some of these great location for an unforgettable day. Jason and his wife Linda started Blue Ribbon Game Farm in 2006. It started out as an empty farm field and was built from the ground up with hard work and a dream. As the barn space expanded, so did the need for additional flight pens. Palmyra Hunt Club has been in existence for over sixty years & for the past ten years Blue Ribbon Game Birds has been our pheasant supplier. 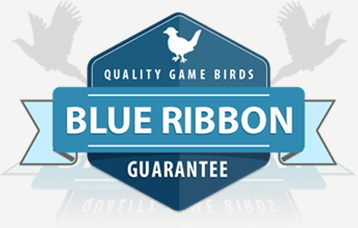 We are very pleased, and fortunate, to have a supplier like Blue Ribbon Game Birds. The pheasants we receive are outstanding! They're healthy, beautiful birds that perform like no other! All of Jason's deliveries are on time, and we haven't had one complaint. 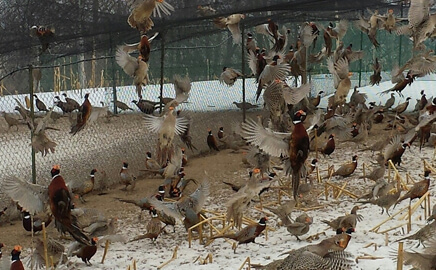 We look forward to receive these outstanding pheasants for years to come! –Augie Tantalo, Palmyra Hunt Club, Inc.